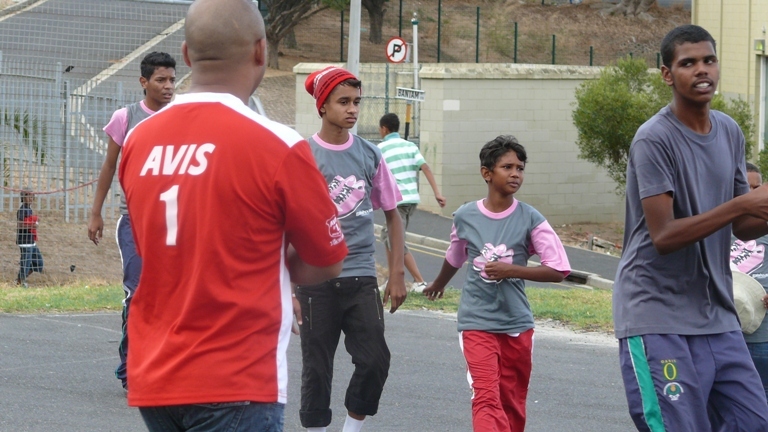 This saturday all the film companies in Cape Town sponsored a soccer tournament in BoKaap. 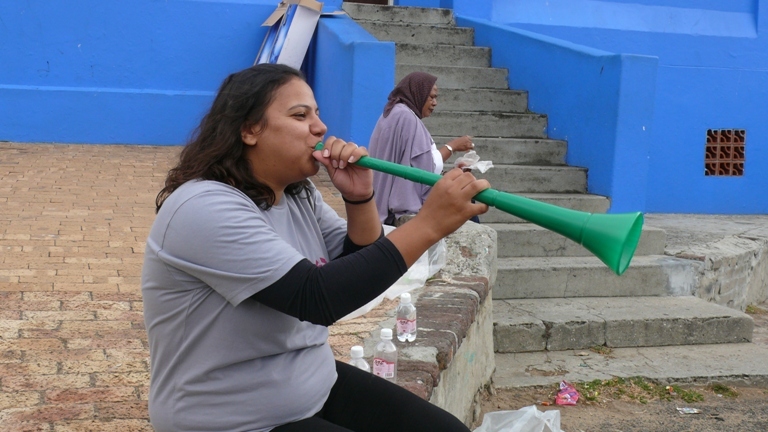 This was organised by the Cape Film Commission as part of giving back to the communities that support the film industry in the form of locations and understanding when take 10 parking spots in a row with grip trucks and chaperone vans etc. 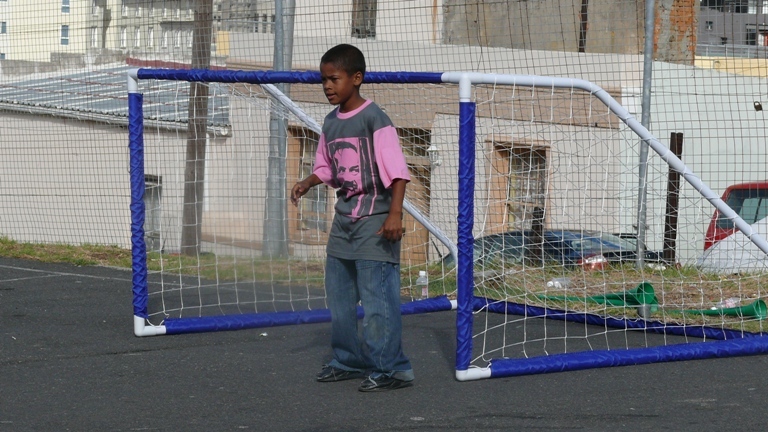 So a big “Thank You!” to the community of BoKaap was organised, where goalposts and footballs were donated and they could have a 7-aside tournament. 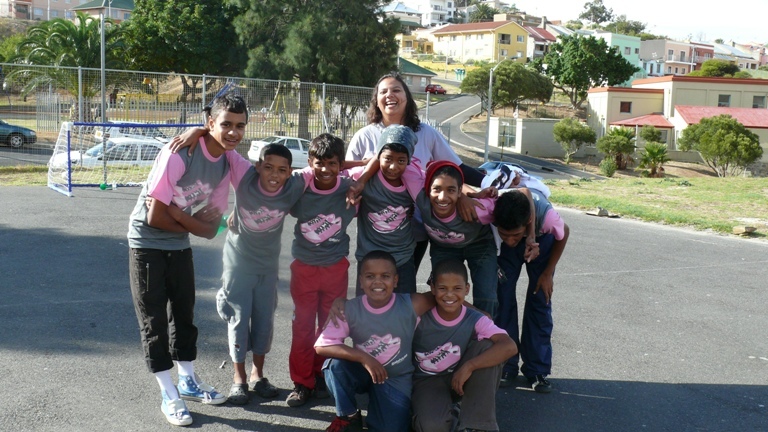 The film companies donated t-shirts as well for the various teams. We are happy to report that the Gatehouse team was victorious in all matches and dominated the competition from start to finish (ahem). Congratulations goes to Debbie Bentham for organising the whole thing and thanks to Annie and Maynu for being there on the day. Our goalkeeper showing everyone how it’s done. Team Gatehouse in action against Team Avis.